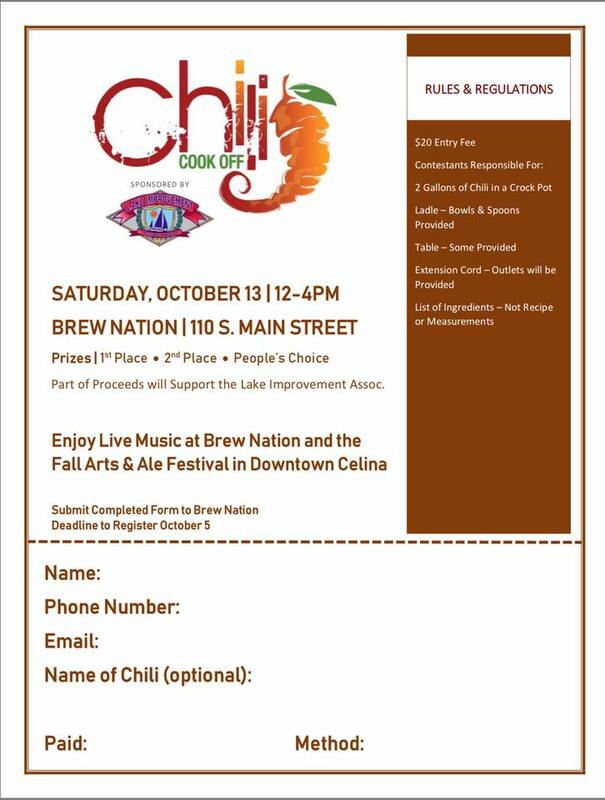 Brew Nation is Hosting a Chili Cook Off Sponsored by the Lake Improvement Association! Part of the Proceeds will be Donated to the LIA. The cook off will be held from Noon to 4 p.m. Saturday, Oct. 13, 2018.